It's all on the Superman Returns website. Recently the President of the United States has been partaking in a "counter-offensive" as both press and politicians have been raising questions about the reasoning and evidence produced to draw the US into the ongoing war in Iraq. President Bush has stated that those questioning the war at this point are "deeply irresponsible". I would point you toward this evening's installment of "The Adventures of Steanso", in which former Marine Lee Thweatt reflects upon the situation. That creeping silence you've been hearing at The League has been a lot of unfortunate distraction. We've got a lot of unfun stuff going on, but I'll let Jamie fill you in when she's home again. 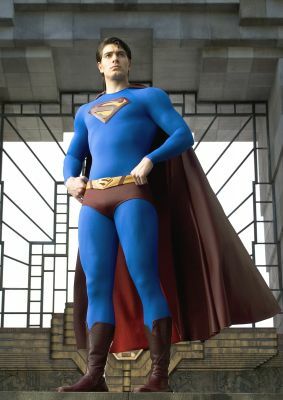 Anyhoo, here's the good news: the teaser trailer for Superman Returns will air tomorrow night during Smallville. Anyway, look for it. it'll also be showing in some theaters with Harry Potter this weekend.